Forget dieting! It's all about a healthy lifestyle. I got this awesome recipe from Jenny Sugar, POPSUGAR Fitness and it is amazing! All you need is a food processor or high-speed blender, and you'll be biting into these soft, cookie-dough-like protein balls in a matter of minutes. Made with only five simple ingredients, they taste delicious enough to be considered dessert but are protein-packed, so they're also perfect for a post-workout treat. 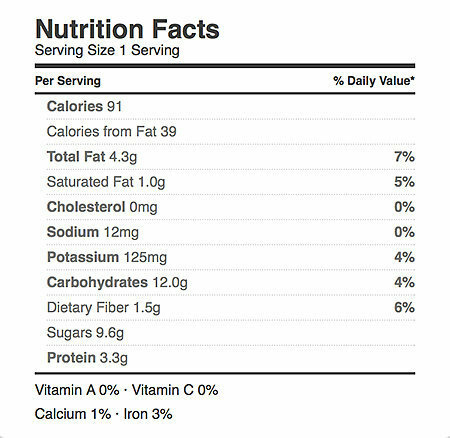 At 90 calories, each protein ball offers 3.3 grams of protein, and for less than 10 grams of sugar. And did I mention they taste like a Reese's Peanut Butter Cup? Oh yeah. They totally do. If you love chocolate and peanut butter, you have got to try this recipe. Chop chocolate chips with a knife and set aside in a small bowl. Add peanuts to a food processor or high-speed blender. Process nuts until a creamy peanut butter forms. Add dates and mix until smooth. Add in the protein powder until thoroughly combined. Lastly, add the applesauce and mix until a creamy, thick dough forms. Roll dough into 22 balls, coat each ball with the chopped chocolate, and place on a plate. Enjoy immediately, or if you like a firmer consistency, refrigerate for at least 20 minutes. Store uneaten balls in an airtight container in the fridge.